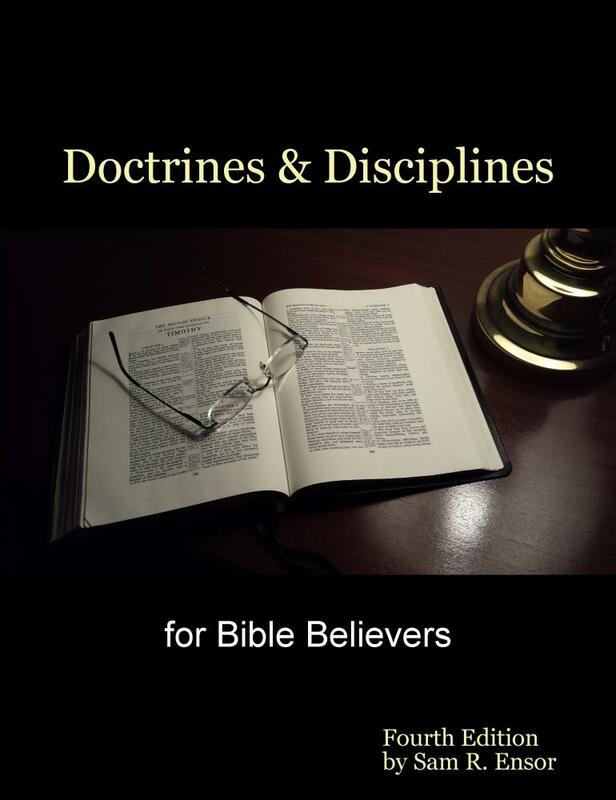 Doctrines and Disciplines for Bible Believers is a concise study of the major Bible doctrines of the historic Christian faith. It is founded upon the King James Bible and is uncompromisingly Baptist in theology. 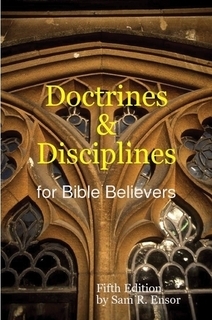 It extends beyond the scope of the traditional Sunday School by presenting an introductory survey of the Biblical concepts and disciplines necessary to prepare Christian workers for service in the church. The free Adobe Reader or other compatible PDF format reader is required to view the chapters. This program is normally included on most computers; if not it may be downloaded from Adobe Reader. The chapters may be studied online or saved to your computer. You may also print them out for a permanent copy within the Adobe Reader program. Follow the directions in your PDF reader for these tasks. The study curriculum is designed to progress from Chapter One through Chapter Eight, so please start at the beginning. Each chapter builds upon the previous, so do not begin in the middle, or with the topic that seems most appealing. Always begin with a word of prayer, then click on the blue READ button by each chapter title to read the course material. May the Lord bless you richly. NOTE: Use your browser "back arrow" (upper left corner of screen) to exit the chapter study and return to this page. Do not use the "X" button (upper right corner) from the chapters. CHAPTER EXAMS: To Earn the Graduate Certificate, you must take the test after studying each chapter. Click on the blue asterisk beside the exam number under each chapter below. You will be sent to the test center to complete the exam. Please note that the curriculum is written by an Independent Baptist, for Baptists. Do not write to argue the theological positions taken in the course. If you differ on minor interpretations we can agree to disagree. If you hold differing religious beliefs, that affect the destiny of souls, then we cannot agree, nor fellowship, and you are free not to visit our site again.